This week’s edition of EmailWeekly has a rather fruity rendering error — none of the images in the articles are showing any more. They did, until an hour after we sent. We do some fairly silly things with EmailWeekly, including in jokes from Twitter and adding fake-mistakes or quirky bits. This is not one of those things. 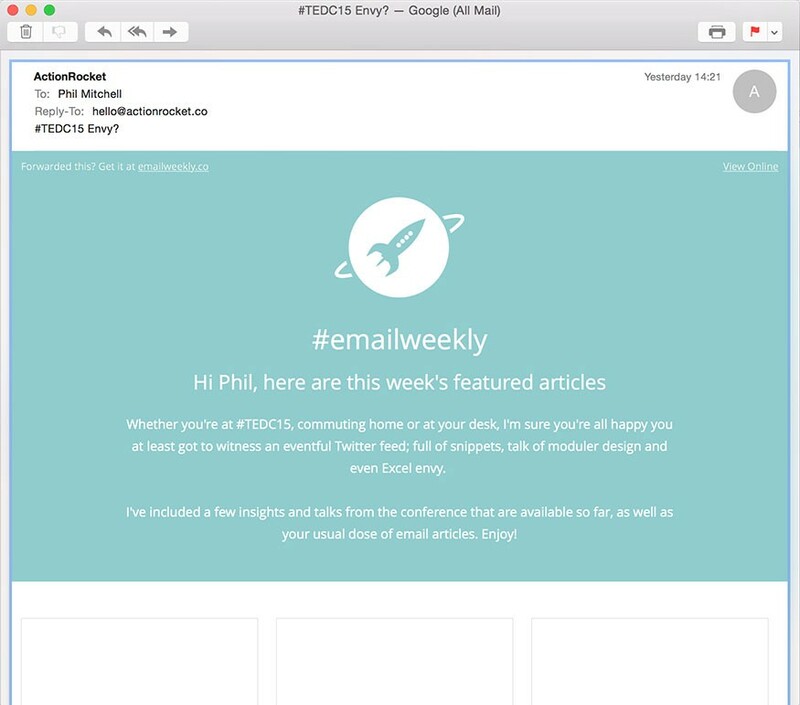 Firstly, we use EmailWeekly to test out beta features in our email production app, Taxi for Email. This week we’ve been building a connector to our email platform, Campaign Monitor, so we tested that. Unfortunately, in the beta connector, there was a conflict with another feature of Taxi. This feature lets you send test emails to yourself and other people on your team. To prevent abuse, the images in those test emails are removed after an hour. Normally, that wouldn’t be a problem, as when you import email code into Campaign Monitor it also pulls in all the images and hosts them for you. Unfortunately, the code we used to kill the images after an hour conflicted with that, so they didn’t get pulled in. And lastly, our QA process passed because at the time, the images were showing. The Taxi bug was in a beta feature that isn’t in the general release, and we’ve already pushed a fix for it. The Campaign Monitor bug is a super edge case thing, but we’ve raised this with them and are seeing if there’s anything to do on their side. Thanks to our superfriends at Campaign Monitor, images are now back on the web version. Something like this will probably happen again sometime. EmailWeekly is a living thing and is our way of trying out new techniques, both with HTML rendering and our process — and sometimes those things aren’t quite right. But our audience is made entirely of people who make emails for a living, and it’s ok to make mistakes amongst friends. The creative studio for email.